Intel has launched server processors whose speeds are 1.65X faster compared to chips from the previous generation. The new Xeon Scalable processors possess between 8 and 28 cores. They have been launched in the wake of Advanced Micro Devices unveiling Zen-based chips for the server market. According to Intel, these new server processors are the most competitive the chipmaker has offered in ten years. “This represents the best of our 20-year history of data center innovation. That’s huge. 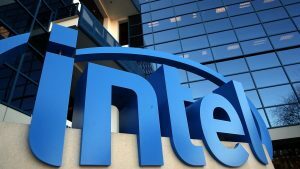 That’s a lot to continue to deliver on the performance beat rate to our customers,” the data center group vice president at Intel, Lisa Spelman, said. According to Spelman, the new chips will enable different sector players to enhance their core computing foundations since improved artificial intelligence processing will be one of the benefits. Data center applications that are being targeted by Intel include communication, storage and compute applications. Compared to systems that are four years old, the Xeon Scalable chips have the capacity to support more transactions and more virtual machines. With regards to storage, the chips are able to handle more operations and reduce latency by 70%. In the case of communications 5G networks can be powered at performance rates that are 2.5X better. Though Intel’s chips have just been formally launched, the giant chipmaker had already sold approximately half a million units to big clients such as Google. Some of Intel’s clients were also allowed to benchmark the performance of the chips. Oracle registered 1.3X faster performance while Baidu noted searches were 1.7X faster. Ericsson saw an improvement of 1.5 times in video encoding speeds. One of Intel’s earliest customers is AT&T and the telecommunications giant has managed to reduce the number of servers per cluster and thereby enhanced performance. On Google’s Compute platform, performance has increased by 40% for some for the early customers. Technicolor, a leading content creator, was also able to render VR content at a faster rate and this helped its creative employees free up valuable time. Despite Intel’s dominance in the chip industry, its lead is increasingly being threatened. With regards to graphics processing for instance the graphics processing cards made by Nvidia are being pitched as better suited for machine learning and artificial intelligence tasks. Last month AMD unveiled new chips that are compatible with Intel’s which are said to offer better performance and at the same time are more energy-efficient and affordable. Data center owners such as Google are also developing custom chips.